"Move forward from the Heart." Shaolin Inner Power was developed on the basis of Shaolin Zen Kung Fu traditional herbal principles. Formulated on the principle established by Damo, the founder of Zen: "Move forward from the Heart." Shaolin Inner Power was developed on the basis of Shaolin Zen Kung Fu traditional herbal principles. This formulation nourishes all Three Treasures, tonifies both Yin and Yang, enhances wisdom, strengthens resistance, strengthens the bones, nourishes and protects bone marrow, nourishes the muscles and promotes inner power and inner peace. This product is produced by Fingerprint Identical Transfer Technology (FITT). This proprietary extraction technology captures the original fingerprint of all the herbs in this formulation and transfers it safely and almost identically into the final extract, preserving the aroma, color and taste of the plants perfectly. FITT is a raw extraction, with the entire process temperature controlled at under 104 F. Shaolin Inner Power was designed and created by Master Herbalist Ron Teeguarden, based on extensive research at the Shaolin Temple in China and upon interviews with Shifu Yan Lin, chief medical monk of the Shaolin Temple and with Shifu Wang Bo, Kung Fu Master. You may also adjust the amount of Shaolin Inner Power eeTee to your liking. 1-4 servings per day. Remember Ron Teeguarden's "First Rule of Tonic Herbalism," summed up in a single word – Compliance. If you don't take the herbs, they won't work." Shaolin Inner Power, with input and blessings from Wang Bo and Shaolin "head medical monk" Shifu Yan Lin, Master Herbalist Ron Teeguarden developed Shaolin Inner Power in 2011. This powerful herbal formulation is designed to steady the mind, improve mental clarity and focus, open conscious portals and provide a strong basis for deep meditative practice. Simultaneously, Shaolin Inner Power is designed to promote ultimate physical power and stamina without the slightest hint of jitteriness. Thirdly, it is a protective formula – a blend of magnificent tonic herbs known for centuries to boost resistance and to enhance the power to recover from stress and strain. Heading Shaolin Inner Power are three central herbs: Reishi mushroom, an herb routinely and ubiquitously used at the Shaolin Temple throughout its history, Astragalus root (Shifu Yan Linâ€'s favorite herb) and Jujube Dates. Every monk at the Shaolin Temple consumes Jujube every day of their life while at the temple as an energy tonic full of life force. The Jujube Dates used to produce Shaolin Inner Power are sourced from the region around the Shaolin Temple. Wang Bo says "This formula assists people to transition effortlessly between stillness and movement, meditation and martial art, with each side improving upon the other. Though challenging, the harmony of opposites is attainable and necessary, as it is the foundation of Zen. This formula is for those who wish to evolve to a new height both physically and mentally." Shaolin Inner Power is formulated on the principle established by Damo (Bodhidharma), the founder of Zen, the inventor of Kung Fu and first Abbot of the Shaolin Temple: "Move forward from the Heart." The formula was developed on the basis of Shaolin Zen–Kung Fu traditional herbal principles. This formulation nourishes all Three Treasures (Jing, Qi and Shen), tonifies and harmonizes Yin and Yang, promotes wisdom, strengthens resistance, strengthens the bones, nourishes and protects bone marrow, nourishes the muscles and promotes inner power and inner peace, simultaneously. This formula is for those who wish to evolve to a new height both physically and spiritually. 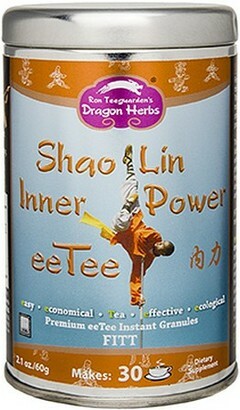 Wang Bo himself graces the label of Shaolin Inner Power instant eeTee™ powder. eeTee™ is a cutting edge extraction technology that results in instantly– and fully–dissolving herbal tea granules. The extraction takes place at low temperature so that all constituents remain intact and bioactive. This proprietary extraction technology captures the original phyto-chemical profile of a botanical (the plant's fingerprint) and transfers it safely and almost identically into the final extract, preserving the aroma, color and taste of the plant perfectly. FITT is a raw extraction, with the entire process' temperature controlled under 104° F.
The "mark" (the remains) of the premium grade organically grown herbs used to produce Shaolin Inner Power are recycled back into compost for use in local organic farms. Net water usage is nearly zero. 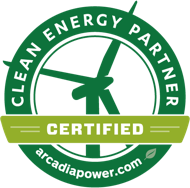 No chemicals are used at any stage. And the resulting herbal tea contains the same phyto–chemical footprint as the raw herbs. Shaolin Inner Power makes a very pleasant herbal tea that can be consumed morning, day or night. It is not a stimulant and not a sedative. It contains no caffeine. For profound sleep, consume it before bed. For a morning boost, consume it upon wakening. For an afternoon lift, make yourself and your guests a good strong brew in the mid–afternoon or early evening. It may be consumed daily and indefinitely for a lifetime. 50% of the net earnings from Shaolin Inner Power eeTee go to the Shaolin Temple a true spiritual treasure. Red jujube Date, Astragalus root, Wild Reishi mushroom, Chaga, He Shou Wu, Eucommia, Polygala, Morinda root, Licorice root. Other Ingredients: Maltodextrin (less than 3%, non-GMO corn origin, gluten free). Add 1 teaspoon (2g) of Shaolin Inner Power eeTeeTM powder to a serving of water, hot or room temperature, stir or shake until the powder completely dissolves. For iced tea, use room temperature water to the tea with natural sweeteners, fruits, or herbal tinctures.